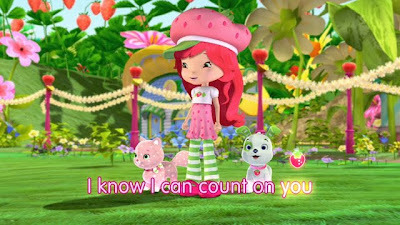 “Galloping Gooseberries!” When politics comes to Berry Bitty City, Strawberry Shortcake and Orange Blossom discover that they're the only two candidates left standing after a series of challenges tests their knowledge of flowers and skills with berries in determining just who should be the BerryFest Princess. From campaigning to speech-writing to deciding precisely what feels right in casting a vote for yourself versus your friend, this vivaciously eye-popping children's title is CGI at its finest. In addition to the characters from the beloved series looking as though they can practically walk right off the screen, nothing is spared in the details in any given shot such as the sight of water flowing near a character looks so lifelike that you catch yourself wondering if mixed media of film and computer animation was blended together. 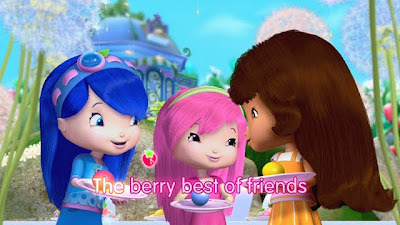 Refreshingly filmed with a moving camera rather than a traditional static one for kiddie fare, which immediately gives the action a sense of urgency, Berryfest is not only a high quality feast for the eyes but a truly intellectual treat for the mind as well. While it's deceptively simplistic, the animated disc is actually stimulating enough for the post-Little Einsteins, Mickey Mouse Clubhouse and Care Bears set. 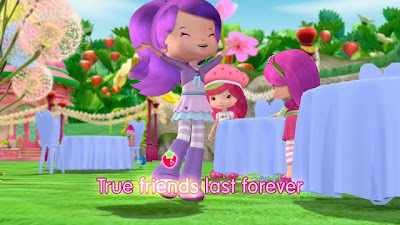 Although obviously, youngsters will enjoy the beauty of the visuals and it's certainly geared to preschoolers with a countdown menu that goes directly to the start of the film without the need of a remote, to truly get the most out of the content contained in the 64 minute film, it's probably the best fit for grade school students. Using an entertaining set-up to masquerade the educational component with plot, Berryfest explains the concepts of elections, the vital nature of civic participation, volunteerism, importance of choices, and reasoning that just like with any event that involves a winner and a runner up, you can (and should) respect both candidates as people who happen to have different ideas about handling a situation. 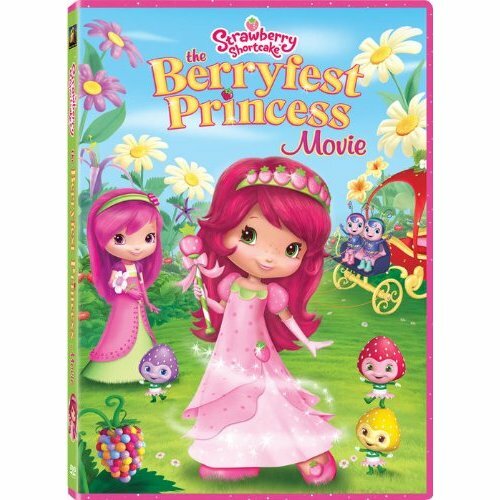 Berryfest also boasts printable coloring pages once you insert the disc into a DVD-ROM drive to allow your children the opportunity to play as they watch along with “A Berry Royal Sing-Along," And overall, this fresh approach to Shortcake makes you realize that although the series is roughly thirty years old, this one not only gets our vote but reveals that for our favorite candidate, the best could be yet to come.